As I continued to review episodes I realized that the Star Trek menu on the main page of my blog would become ridiculously encumbered by listing each individual episode. The best solution seemed to break the episodes down by season and keep everything as orderly as possible. Who knows if it’ll work or not but it’s worth a try. Greatness often springs from humble beginnings. I’ll just give a brief overview of season one here: it’s not that good. Roddenberry hadn’t been associated with a television show for 20 years and he seemed stuck in the 60’s for much of this season. Paramount were the ones who initially decided to do TNG and–believe it or not–Gene Roddenberry was resistant to the idea of a new Star Trek show, ever since his Phase Two project was shelved in the 70’s. It wasn’t until Paramount decided to go ahead anyway that Gene agreed to be involved. William Shatner’s documentary Chaos on the Bridge documents all of this, and is recommended viewing. Nobody knew if the fans would actually accept the series, the actors were trying to find their characters and so were the writers, and everything from the lighting to the directing seemed…rough. Of course I make this observation relative to the heights this show achieves later on. There weren’t any science fiction shows on TV and everybody was just a bit insecure, and it shows in much of this season. A new show needed a new ship. When TNG began they used a six-foot model of the Enterprise designed by Andrew Probert. In fact it turns out he’d painted what he wanted the ship to look like after Star Trek: The Motion Picture came out, even though there wasn’t a chance in hell he’d be allowed to break from the design from the original series or the failed Phase II that I mention in my Season Two page. After being hired to work in the art department for TNG, he hung the painting in his office. David Gerrold saw the painting and brought it straight to Gene Roddenberry. Gerrold had been a script writer ever since the original series (he wrote The Trouble with Tribbles) as well as the animated series so he was close to Roddenberry, and evidently Gene approved the concept immediately for the new look of the ship. Kind of ironic that Gerrold left the show after season one due to some big dispute with Gene. The process of casting the show was exhaustive. Roddenberry didn’t like Patrick Stewart for the captain for quite a while. 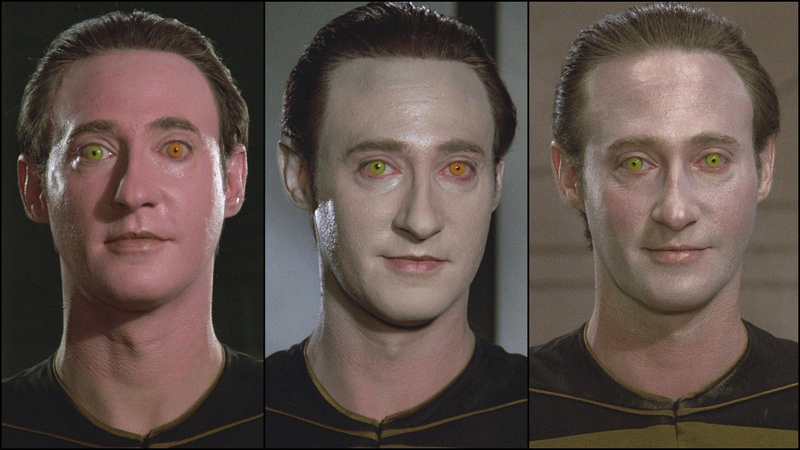 In fact he was originally considered for the role of Data. For Patrick’s part, when he learned it was a multi-year commitment he didn’t want to even audition! “I had too many things I wanted to do.” Ian McKellen also warned him off taking the part. However as he explains, every friend and acquaintance in Hollywood said the same thing to him: “Patrick don’t worry about it, you cannot revive an iconic series. The show will be canceled sometime in the first season. Make some good money, get a tan, then come back home.” Patrick relented, and auditioned. It wasn’t until after the producers had been working on Roddenberry for weeks, and after auditioning every other candidate for the role, that Gene agreed to an audition. In fact Corey Allen, who directed the pilot, took Patrick aside and worked with him for an hour to prepare him for the audition. To this day, though, there is no good answer to the question, “Why does the French captain have a British accent?” If you’re going to make him French–a man who grew up in France–casting someone with a British accent is incongruous. 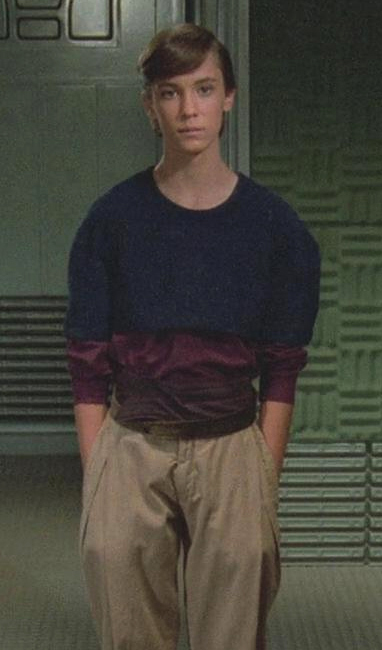 Frakes had to audition for the role of Riker seven times over a six-week period. 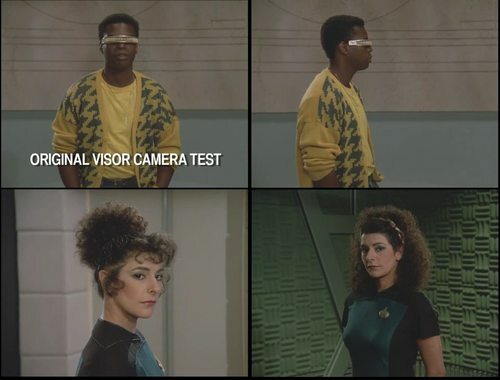 LeVar Burton had a very different experience, only auditioning once and Roddenberry liked him, though his particular hell came from wearing his VISOR. Not only did it take away about 80% of his vision, but from the second season on the heavier version they gave him had to be screwed on. It gave him headaches for the following six years. Most folks don’t know Gates McFadden had to wear a wig for most of her tenure on TNG, which she hated as well. Gates’ real hair is about the same color as her wig, but much finer. The reason for her having to wear it is still unclear to me. Jonathan Frakes tells a great story about her though: Cheryl (Gates) was doing a play at the time and wasn’t really sure she wanted to be on a sci-fi show (but it paid well), so she thought if she changed her name on the show to “Gates” that her theater friends wouldn’t know it was her! She even changed her birthday–evidently in some early Star Trek interview she gave a different birthday than her own, which everyone just believed. So she’d get well-wishes on her made-up birthday and get pissed off that nobody remembered her real birthday! True story. Marina Sirtis and Denise Cosby actually tried out for each other’s roles, and it was Gene that switched them. Evidently another of Gene’s ideas was to give Troi four breasts, but luckily his wife nixed that idea. Marina was sure after all of her auditions (six!) that she hadn’t got the part, and was in fact packing when she got the call. She said this was the essence of the call she received: “You got the job, lose five pounds.” I’m including a link to an outstanding 8-minute long video where Marina tells us about the original costume in the pilot, the one she wore for seasons one and two, the one she got in season three, and a behind-the-scenes comment about the episode Timescape. It’s entitled “Marina Sirtis tells the costume story,” and it’s wonderful. She has since said the accent she developed for the role was a mixture of Eastern European and Hebrew. 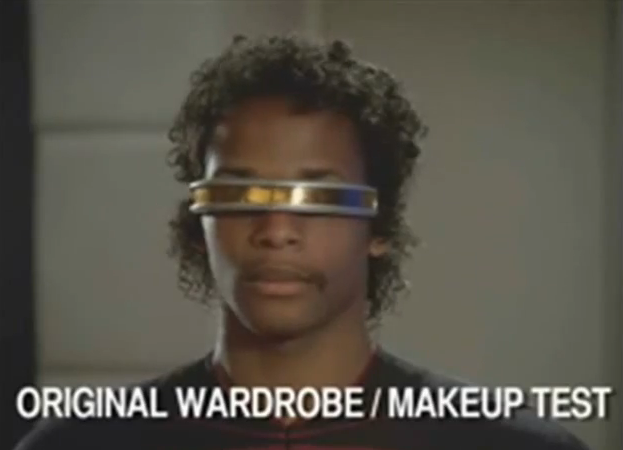 Worf was the last character cast and he was almost an afterthought, only being included as a part-time recurring character. Even the rest of the cast didn’t know him until after he’d been on the set for a week. 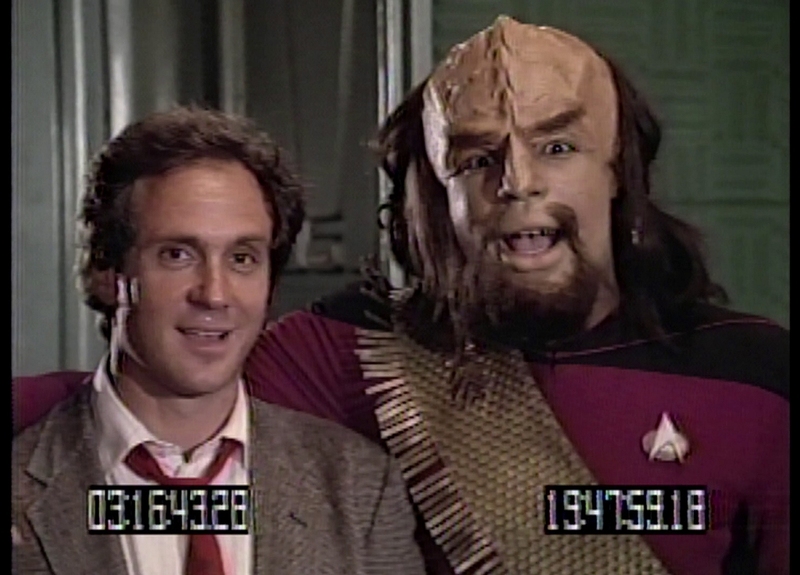 Michael Dorn told Marc Okrand–the linguist who wrote the Klingon Dictionary–that someone gave him a copy of the book and from Okrand’s descriptions of how Klingons behaved developed his character that he auditioned with! Last but not least was Majel Barrett. Wife of Gene Roddenberry, cast member of TOS and portraying Lwaxana Troi, she is also the voice of the ship’s computer from episode 11001001 on. She won’t receive credit for being the voice of the computer, however, until The Mind’s Eye in season four. There are a couple of standout episodes but generally speaking this entire season is skippable if you want. For the casual viewer who only wants to see standout episodes I’d recommend Where No One Has Gone Before, The Big Goodbye and Heart of Glory. For those that wouldn’t mind watching episodes that are “alright” or have importance for continuity purposes I’ll add Encounter at Farpoint, Hide and Q, Datalore, 11001001, Symbiosis, and Skin of Evil. I’ll remind the reader of how much I love this show, as was stated on a post on my main blog page. However, as much as I love it–probably because I love it–I can’t overlook the flaws in the episodes. So, fair warning, many of my reviews in this season will not be pulling any punches. I’m including a link here of a 5-minute spot on Entertainment Tonight which introduces the crew and setting of TNG before the first episode aired. One other note: the production order of the episodes in season one are often different–sometimes very different–from the order in which they were aired. I’ll make a note of every episode in which the order they were aired varies from the order in which they were made. Two examples of this stand out: Haven was the 10th episode aired, but it was actually shot and produced right after Code of Honor, episode 3. A more dramatic example is Symbiosis, which was shot after Skin of Evil. The problem here is, if I ordered these episodes according to production order I’d have Tasha Yar appearing in an episode immediately following the one in which she was killed off! Following are reviews of the episodes from season one. Consider all of these ratings to be on a curve, however. This is the first season, after all. Please feel free to take a look around and comment if you like.